If your family is religious and follows a particular diet, such as Hallal or Kosher, but your child attends a secular school or one of a different religious persuasion, you may need to consider what options to opt for when deciding what a child will do about meal times at school. The options are usually: provide a packed lunch, ask the school to facilitate the religious diet, or allow the child to eat the food served at school. In order to opt for the first two options, parents may need to seek written permission from a school for a child to receive a special diet, or, if this is not a 'mainstream' option, parents may need to write to the school if they want their child to have packed lunches . It's a good idea to research the school lunch policy before a child begins at a new school, if possible. Find out if the catering occurs within school or outside it, and whether other children have packed lunches. Ask other parents who face the same problem as you if possible; you could ask your religious leader if he or she has faced the issue before. If there are children eating packed lunches, that might be the easiest way to overcome the difficulty. If not, however, children may feel isolated if they are the only ones eating a packed lunch. It can be worth approaching schools to see if their catering provisions include the option of special diets, like Hallal or Kosher meals, which can often be 'bought in' by school caterers from other companies. Although your child's food would be different from those of his or her friends, they would at least be eating a meal provided in the same way, in the same place, and so would be less likely to feel left out or 'different'. In circumstances where a family does want to contact the school to ask if they are able to cater for a specialist diet, parents or guardians should contact the school as early as possible before the food will be required, to allow the school to look into the issue. The letter format laid out below shows a good way to approach a school to ask permission for a child to receive a special diet. Parents can use it as an example of the kinds of things you might want to write if you have a similar request. In September, my daughter, Danielle, will be starting at The School House in year 7. I'm writing to you with a special request that I hope you are able to consider. 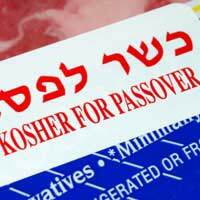 We are observant Jews, and our religious dietary laws state that provided food must be Kosher - that is, prepared under supervision and not containing certain foods. I have spoken with other parents who already have children at the school, and have been told that all children eat school lunch at school. If possible, I'd like Danielle to also eat school lunch at school, to avoid her feeling left out at lunchtimes. To that end, I wondered whether it is possible for the school catering team to order in Kosher food - which would arrive already prepared, with no other action needing to be taken - for Danielle to eat? If the cost was higher than your average cost per child, I would be happy to cover the difference. I can provide some details of local Kosher caterers if that would help too. I hope you understand and that we can solve this issue. If you'd like to talk to me about it I'm contactable on on 0131 2343 9049 or 0723422342, or email me at mother@parents.com.